A gorgeous spring fresh Turquoise drop, micro-faceted and wire wrapped is suspended from 14k Gold filled chain ending in a round clasp. 16" long. Custom length at request. Drop is about 10mm. Ruby Pink. 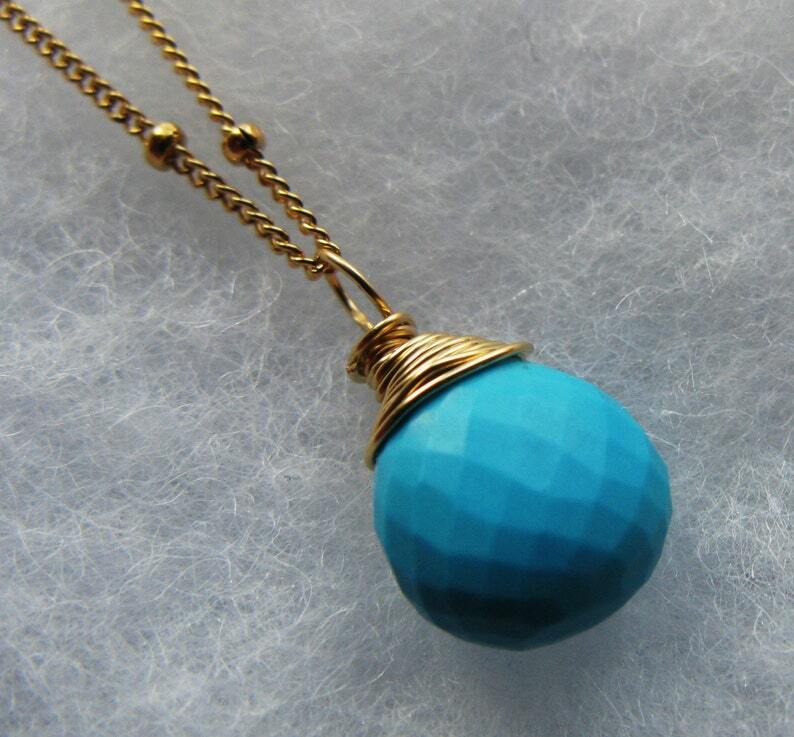 faceted teardrop briolette necklace. Silver or Gold.